And of course there is everything in between. But let’s take a look at a few examples to get a better feel for what I mean. The six panel colonial door is one of the most commonly used in home construction. However, this door has a very traditional look to it. 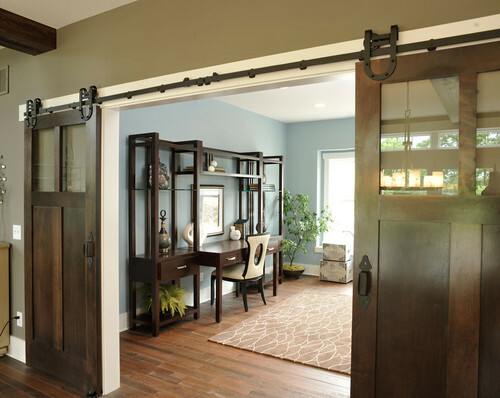 I prefer to stick with the colonial homes for this door but, it can work in any traditional style home. Next is the four panel door. These can be seen in either raised panels or in a recessed panel with proud trim. Either way, the look is still in the very traditional category. Continuing on to the three panel door, you can see how the look is moving away from the colonial style and becoming much more in line with the modern day traditional homes. These doors look good in traditional homes that want to really bring in the attention to detailing that is the hallmark of a traditional home design. (i.e. elaborate crown molding and large base trim). 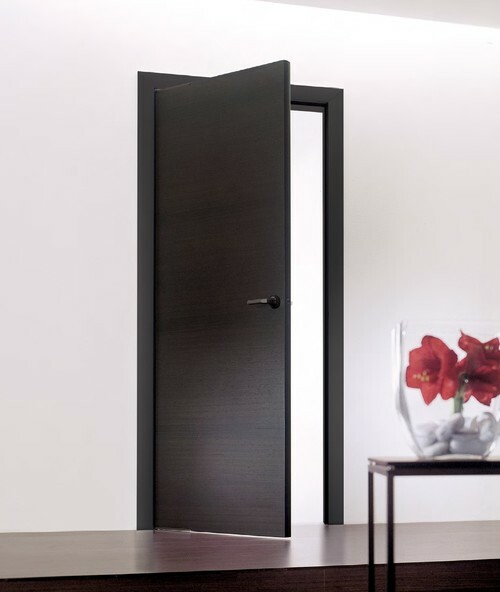 With two panel doors, you are really gaining much more versatility in design. Yes, these still look great in a traditional home, but these fit just as nicely in with a transitional style. They also blend well into a french country design – although I much prefer the planked two panel doors (below) for french homes. Once the panels are taken from a raised panel to a flat panel (or shaker style) the door begins to lean more towards a modern style. These work best with a transitional home, but as you can see, they can also go right into a Mid-Century modern. (although I think I would prefer a flush door here). This 3 panel door is what most people think of as Craftsman style. So, of course this door is best for a Craftsman or an Arts and Crafts architecture. Just to give you an example of how the direction of the panels can change the style, let’s mix it up a bit with this door. It has five panels, but they are flat and running in a horizontal direction. So, even though the number of panels would indicate a traditional door, the fact that they are flat and horizontal actually pulls it more towards a more modern look. This door could work in just about any design, but I think it would look most in place in a transitional or even a Craftsman. So, what happens if there are no panels? Well, then you have a very contemporary or modern door. 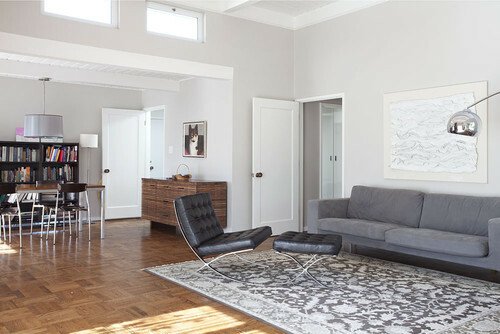 I like these in Mid-Century Modern homes, but they also are a favorite for minimalist or contemporary homes. Even though we can create a simple method for determining a doors best fit, there will always be exceptions. 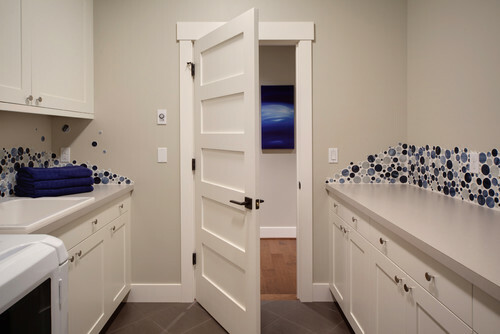 The material and finish of a door can also determine the style of home that it should go into. 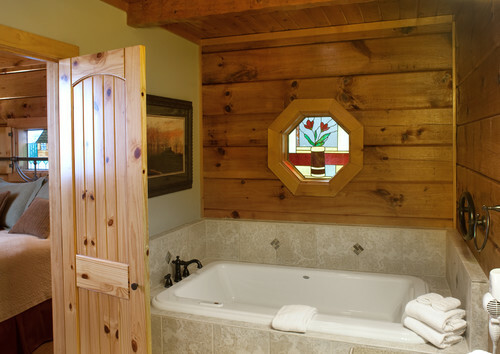 For example, this two panel door is made of knotty pine with a natural finish. Not quite so traditional is it? Nope, this one is intended for a rustic look – as in cabins. And here, this two panel door is painted and would not fit as well in a cabin. But the panels, having that plank look, make these perfect for French Country. Although again, they would also fit well in a traditional. There are still many other designs and finishes out there that we have not covered in this one post. 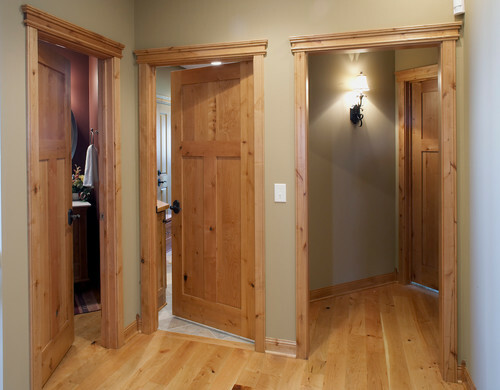 The possibilities are endless, but this guide should help if you are looking to install new interior doors and are just not sure in which direction to lean. Loved your article about the door selection. Very helpful. Question: what kind of two panel door would use for a transitional French Country home with simple and clean design? Two panels of equal size or two panels of different size. I assume both with flat panels. Thank you! I am glad that you liked the article. Since you have narrowed you decision down to flat, two panel doors, the choice of equal or varied panel size really depends on the final look that you want to achieve. 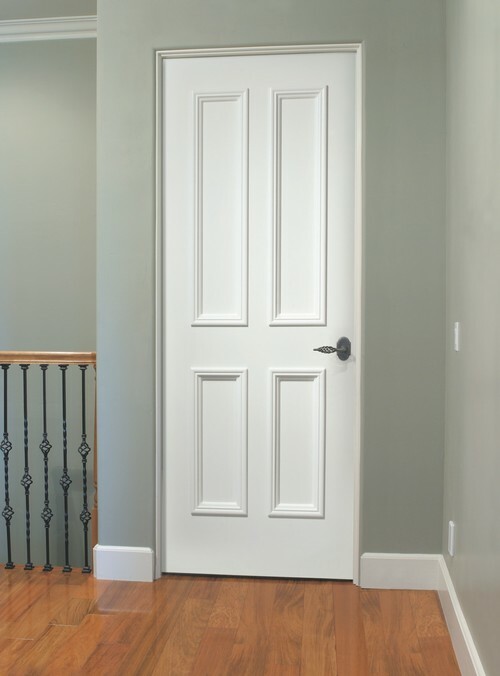 Having a short panel topped by a long panel will make the door seem taller and more regal. While, doors with equal sized panels will feel shorter and more robust. Both will work; however, if the door is under 8 feet tall and 36 inches or more in width, you may want to go with the first option. Otherwise, the door can end up looking squatty.